On-page SEO or optimisation plays a crucial part of any search engine optimisation campaign. 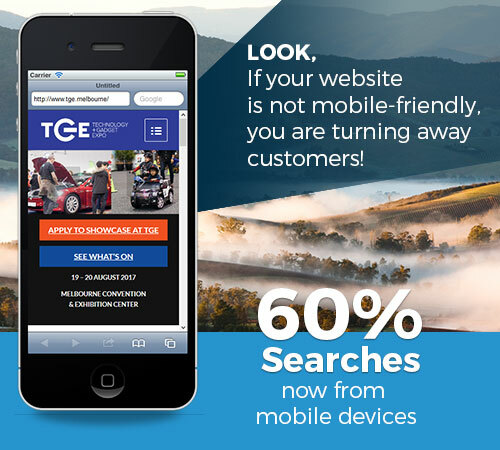 We need to look at health and well-being of your website, is your business site mobile-friendly? If not, it’s going to be an arduous journey to climb rankings on mobile devices. Google display search rankings depending on the devices you use and the location. We have helped two businesses with their website redesign because the current one is old fashioned and not responsive on tablets and mobile devices. You can view the case studies and see the difference it makes with SEO. During our web page redesign, RTS was complaining about being on the second page of Google for “recycled timber Melbourne”. We told RTS once your website is built you are more likely to climb to the first page. We also incorporate Facebook feed to make sure the homepage stay fresh for Google’s eyes. RTS went from ranking on the second page of Google to the first page within short months. They are now #1 for “recycled timber” which has an estimate of 12,00 searches per month in Australia, and 800 searches in Melbourne. Search Rec to Rec was looking to rank on the first page of Google for keyword phrases to do with their business. We suggested that optimising your web page will improve your rankings dramatically. When we were looking into their website, we noticed that the size of the page is huge, because they use stock images that have not been optimised. – Set up their Google My Business account – they are now appearing on Google Maps for their keyword terms. All of the above has made them who they are today. We provided this service to 2search for $500. Join our SEO short course for only $120 to get you going, and see organic rankings in a few weeks.